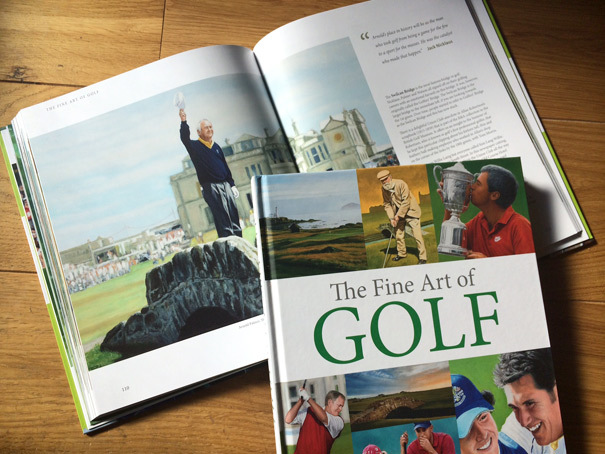 Designed for the company of the same name, this latest book showcases 166 paintings by well known golf artists Simon Russell, Walt Spitzmiller, Joe Austen and Margaret Evans. From the most exciting moments at a major or the Ryder Cup to a simple view across to Ailsa Craig at dusk, The Fine Art of Golf provides the milli-seconds that resonate with us in a way for which we struggle to find words. 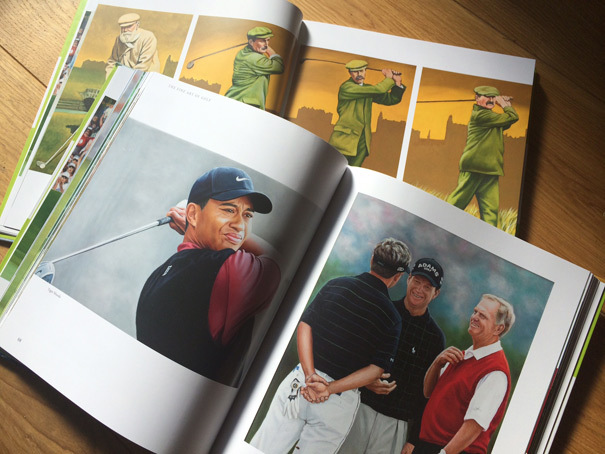 But Roger McStravick, its author, does manage to find words and quotes from the famous golfers themselves, past and present, that shed light on the feelings, the glory, the pain, the beauty of every image these artists have captured in their paintings. 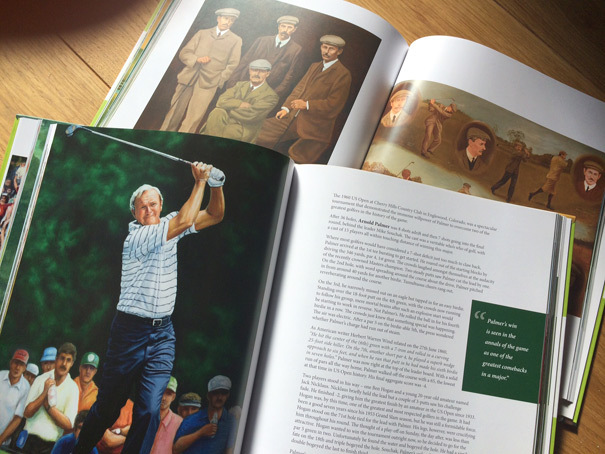 The Foreword is by TV golf presenter, Peter Alliss.